What an exciting month this has been! The good news is that I’ve been doing some volunteer work at the middle school from which I retired, and I’ve really enjoyed the time spent with both the students and my colleagues. People ask, “Where do you find the time?” Even though I juggle two part-time businesses as a tutor and a NES practitioner, one of the joys of self-employment is being in charge of my own schedule. If I want to do something badly enough, I can make it happen. Surprisingly, I don’t feel bad about this development. I think something inside told me that dairy wasn’t good for me, even though it tasted so wonderful. Since returning to the consumption of dairy products, I’ve gained some weight back. Dr. Rogers told me that dairy made my blood “sticky”, and he showed me on the highly magnified slide of my blood what that stickiness looked like. I thought that perhaps it didn’t work that way anymore and that I could return to dairy. Alas, that was apparently wishful thinking on my part. 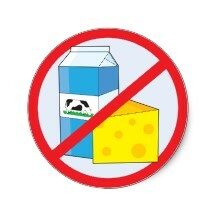 So, why don’t I feel bad about giving up dairy products? Because there’s plenty more yummy food items in this house to eat that I’m absolutely sure is good for me! My fridge is loaded with delicious fruit and vegetables, lean grass-fed meats, omega 3 eggs–yes, I can have them, almond milk, millet bread, whole food protein powder, and more. I won’t starve, and I won’t suffer. Besides, a little discipline is good for the soul.